Year In Numbers: The Federal Reserve's $85 Billion Question As 2013 wraps up, NPR is looking at the numbers that tell this year's story. When it comes to the economy, $85 billion is a good candidate. That's the amount the Federal Reserve has been pumping into the financial system each month trying to stimulate growth and bring down unemployment. On Tuesday, Fed policymakers begin a two-day meeting at which they'll decide whether to dial back that stimulus. NPR presents the numbers that crystallize an idea or trend that was important in 2013. 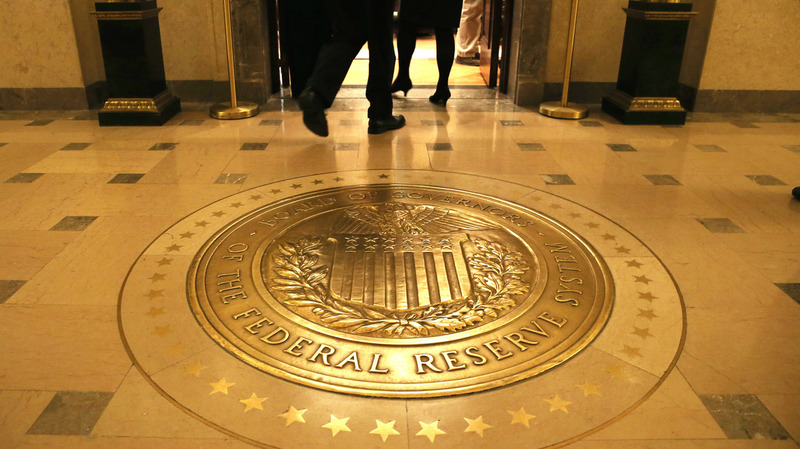 On Tuesday, Federal Reserve policymakers begin a two-day meeting where many analysts expect they will announce a reduction in the central bank's $85 billion monthly stimulus. Many economists and investors think there's a good chance that at the end of their two-day meeting that begins Tuesday, Federal Reserve policymakers will announce that they'll begin reducing their $85 billion monthly stimulus, their third round of quantitative easing, or QE3. The analysts think recent economic data, like a drop in the unemployment rate to 7 percent and a budget deal in Washington, have brightened the outlook for the economy enough that the Fed can pull back. But there's another troubling number that could make Fed policymakers stand pat, says University of Chicago professor and former Fed governor Randy Kroszner. That number is the inflation rate. "Inflation being far below where the Fed wants it to be is a major reason why they may hesitate," Kroszner says. Princeton economist Alan Blinder points out that, strangely, during a period when the Fed has pumped trillions into the financial system, inflation has drifted lower. "Inflation has in fact fallen on average over the last five years," Blinder says. The most recent measurement shows that core inflation in a basket of consumer goods through the 12 months ending in October was running at just 1.7 percent. That's below the Fed's target of 2.0 percent, and it's been drifting downward this year. Blinder, a former vice chairman of the Fed, says this falling inflation is an extraordinary development given the trillions the Fed has pumped into the financial system. Economics textbooks say that's a recipe for inflation. So what happened to that $85 billion a month — $1 trillion total — that the Fed has pumped into the financial system over the past year? "It all got bottled up in the banks, and essentially none of it ... got lent out," Blinder says. He says the banks are the key to making quantitative easing work. It would work by the Fed announcing it wants to buy $85 billion each month in government bonds and mortgage-backed securities. Blinder says banks would then line up to sell them, and the Fed pays the banks by putting money in their reserve accounts at the Federal Reserve. "You can think of these as the deposits that banks hold at the Federal Reserve, which is a bank for them," he says. But unless the banks lend those deposits, or invest them, they don't get into the economy, they don't enter the money supply, and they don't contribute to inflation. And if banks aren't lending, there's no boost to the economy, either, which is, after all, the Fed's main goal. "This is the $64 trillion question — the deep, deep mystery to me," Blinder says. "In bits and pieces, we understand that, but I think in large measure we don't understand it." Blinder says one part we do understand is that the banks were burned by the financial crisis and are much more cautious about lending. Another factor, he says, is that the banks have some incentive to leave their reserves safely at the Fed, because the central bank pays them interest. It's only a quarter of a percent annually, but Blinder thinks the Fed should stop doing that to encourage banks to lend. Randy Kroszner thinks there is a different reason banks aren't lending. "I think there's just relatively low demand from small- and medium-sized businesses right now for borrowing," he says. That's also what a recent survey from the National Federation of Independent Businesses found. But what if the economy picks up? Banks and businesses become more confident, lending booms, and the trillions in bank reserves begin moving into the economy. Both Blinder and Kroszner say the Fed has the tools to remove the reserves safely before inflation flares. Policymakers could begin the process at Tuesday's meeting by deciding to dial back the $85 billion in monthly stimulus.